It’s easy to make charity films the wrong way. Low budget, heavy handed, cliché ridden, predictable. If they work at all, it’s because they shame us into caring. But that’s the old way of doing things. 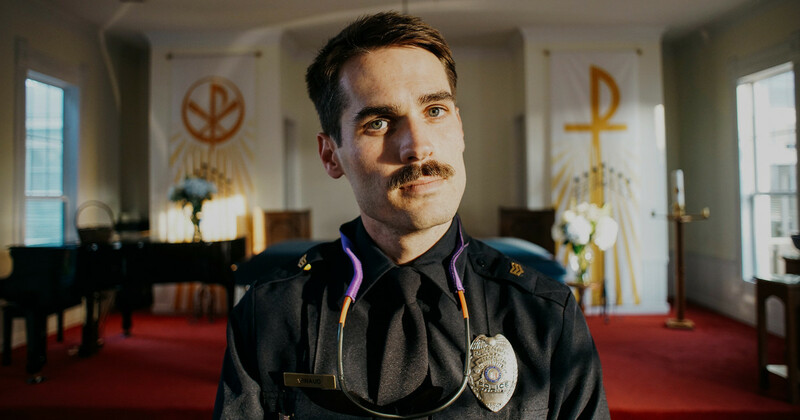 At least according to Stefan Hunt, whose cause-based films rival Wes Anderson’s for their playfulness, spontaneity, beauty, and fun. They’re great films regardless of the cause they’re promoting. Many of them have won Vimeo Staff Picks. For Stefan, creativity and storytelling are just as important as educating people on an issue. 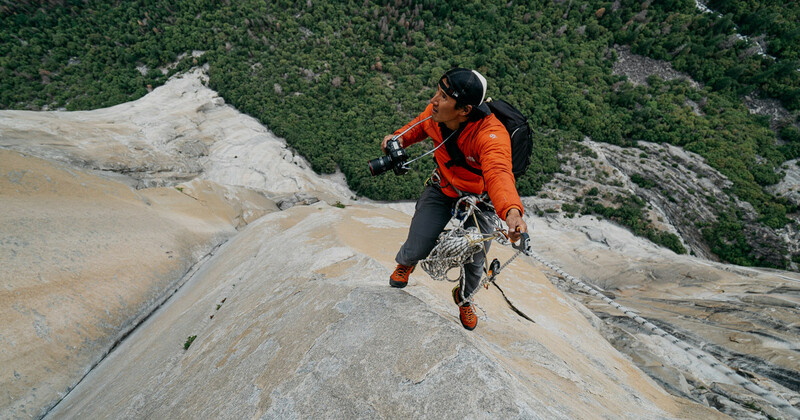 “I want to inspire people to help, not guilt them into helping,” Stefan told us. We recently talked with Stefan about philanthropy, creativity, and the time he drove an ice cream truck through all 50 states in the U.S.
What’s your setup like? Where do you live? I share an apartment in Sydney, Australia, with my girlfriend. It’s a beautiful apartment with a lot of natural light. My girlfriend scored this place through an artists’ residency program that’s supported by the city of Sydney. As a result, I am the bum boyfriend filmmaker who hangs out here. Let’s start with your trip that turned into the Surfing 50 States film. What was that all about? That trip is the reason I make films today, actually. I was 18 years old, and my friend Jonno and I came up with this idea to travel to all 50 states. 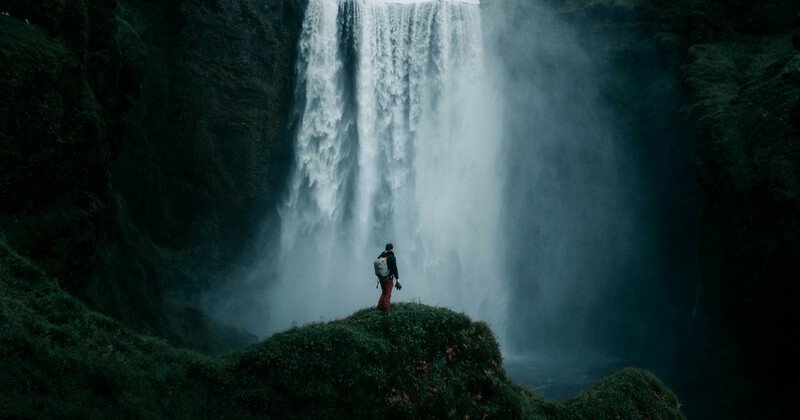 It’s pretty common in Australian culture to take a gap year and travel. So I put off college and went to America instead. We had some friends out there who let us borrow their old ice-cream truck. We thought we’d won the lottery. Fast forward three days and it was already broken down. I think it broke down in every other state. The thing was a mechanical nightmare, but it became a kind of third character in the film. It played real ice cream music which was a great way to meet locals. As we entered a new town or city people would come out and talk to us after hearing the music. Fast forward a few hours we were spending the night at their house. Anyway, Jonno and I thought we might as well add a challenge to this adventure. Something we could say we were the first people in the world to do. Our common interest was surfing, so we decided to surf in all 50 states, which was hard to do because 27 of them are landlocked. Yeah, how’d you work around that? We figured standing on a surfboard with any kind of momentum would count as surfing, at least for our project. And I figured I might as well document this thing to show the grandkids someday. But it ended up becoming my first film [Surfing 50 States]. More of a travel documentary than anything else. It was about the people we met. America is such a diverse place, as I’m sure you know. Diverse political views, religions, ethnicities. When I was done with it, I edited it and put it out there, and it got this amazing response. It was completely because there is this innocent charm to it. Something we could never re-create. It would feel very contrived to ever do it again. But this film ended up playing all over America and Europe, and it won some awards at festivals. So Jonno and I decided we should keep doing this. Our film careers came purely from a place of finding filmmaking extremely fun and not taking it too seriously. 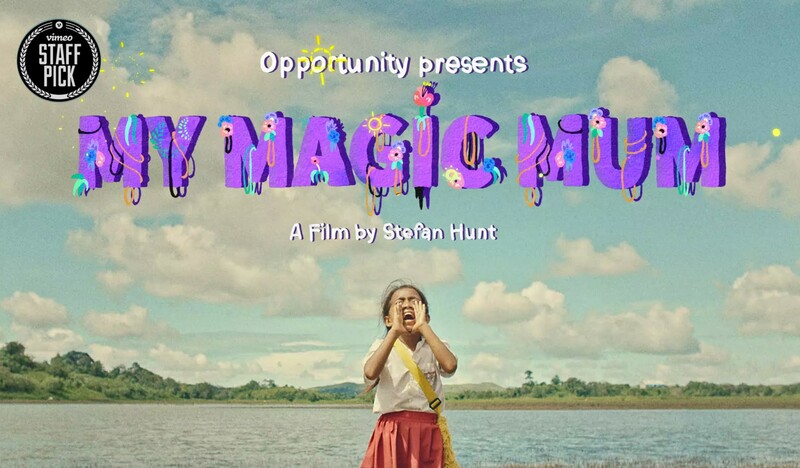 My Magic Mum from Stefan Hunt on Vimeo. There’s a sense of play in all of your work. Is fun still a big part of it for you? One hundred percent. I’m very conscious of presenting childlike qualities in my films. If my films can deal with issues — sometimes big, serious issues — but present them in a childlike way with a sense of charm and imagination — well, those are the kinds of films I’m interested in making. It’s a way to keep myself from growing up too quickly. To maintain an excited view of life where anything is possible. When did you start making cause-based films? The second film Jonno and I made opened up the philanthropic world to us and sent me down the path I’m on now. 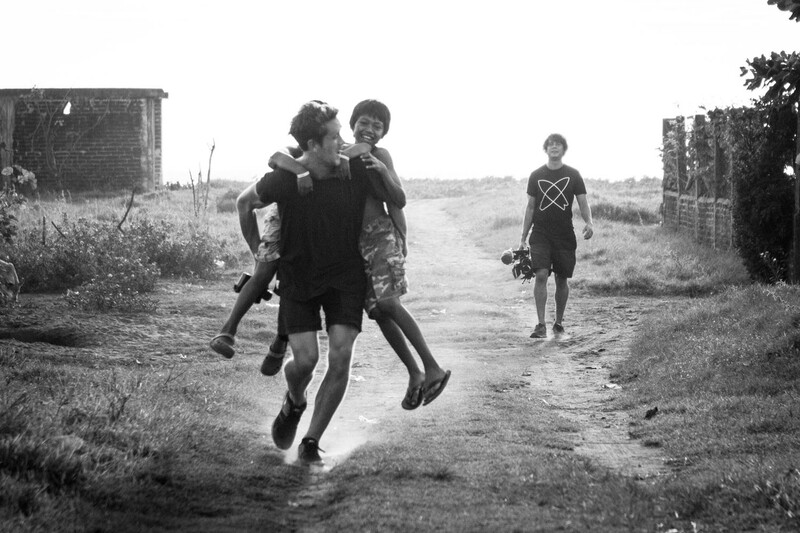 We went to an orphanage as volunteers and without any intention of making a film. But when we heard people’s stories and connected with the kids, we decided we should film it and share it with as many people as we could to generate support. Once we’d finished the film, we jumped in a van and drove around Australia to screen the film and raise money. That was the most pivotal moment in my career. I decided this is what I want to do. I want to use filmmaking to inspire positive social change in the world. I was 21 when I made that film [“Somehwere Near Tapachula”], and I look back on it now and cringe. I mean, technically it's horrible. But, again, there’s a heart to it, you know what I mean? I think that’s really important. For young filmmakers, it’s not about comparing yourself to guys and girls who are making these insane films on Vimeo. That’s not what it’s about. It’s about creating something with feeling, with heart, that’s honest to who you are and how you see the world. We should never create a film from a place of “we know what’s best for these people.” It should be from a place of “let’s just listen." Your films never seem to portray their subjects as victims. Was that a conscious choice you came to? It became a conscious choice, yes. The more I traveled and went on these philanthropic trips, the more I talked to different people and not only learned their stories but learned about them, as a human being. Their favorite music, their favorite color, what makes them laugh. When you connect on a basic and relatable level like that — with kids, especially — you realize how similar we all are. For me, that was a pivotal moment: when I realized people in the developing world being presented as inferior when they’re not. They’re just like anyone else. They feel highs and lows like we all do. The sooner we stop presenting them as victims, the sooner people won’t feel guilt-tripped into supporting them. That whole mentality of showing a poor child in black and white, looking into the camera… that’s an old way of making charity films. Even though those situations do exist, it doesn’t mean those kids don’t have a personality and a heart. I want to inspire people to help, not guilt them into helping. Maybe sometimes we mistake pity for morality. Like if we feel bad enough for someone, that’s the same as doing something about it. Exactly. And that’s not the case at all. Some of the happiest people I’ve met across my travels are not from lives of wealth and material possession. Everyone has their challenges. Everyone has their triumphs and their beautiful moments. We need to create films that create a greater understanding instead of passing judgment. We should never create a film from a place of “we know what’s best for these people.” It should be from a place of “let’s just listen.” Because everyone has something to learn from one another. That’s the main point. Your work has such a distinct style. Is this a phase you’re passing through, or have you found your voice? I definitely think this is what I’ve evolved into. In the last few years, I’ve tried to add more creative flair to my work. To make my films capture the way I see the world. I’ve sort of come into my own. I have confidence in my style. I know how I want things to look and feel these days. And for me as a filmmaker, that’s super exciting. When you first start making films, you spend years not having your own style. It’s a long process. It’s a total discovery. But the more honest you can be with yourself when you’re creating something, that’s the fastest way to figure out what you want to create. Is your work as intuitive and improvisational as it seems? 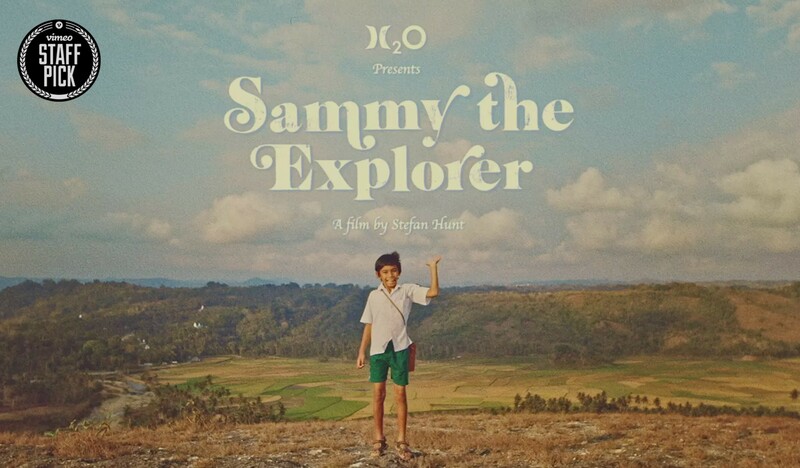 Sammy the Explorer from Stefan Hunt on Vimeo. Do you make up the films on the spot? Do you really think a film can change things? Can things change at all? I definitely believe a film can change things. But I’m not so green as I was when I first got into this. I once had this view that if I felt moved by a story, then everyone else should feel moved by that story too. But that’s not how life works. Nobody should feel moved by anything. And no one is going to feel as moved as you do for your subject. But I really do believe that film, as an art form, can open up entirely new worlds to an audience. It can educate them, connect them to a cause and ultimately inspire them to take action. You’re never going to get everyone on board. That’s near impossible. But as long as you pursue your work from an honest place and you find like-minded people to work with, you’ll eventually create something that has an impact, however big ⎯⎯ or small. I guarantee that.